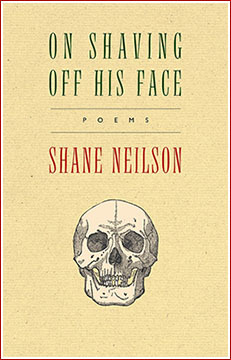 Shane Neilson is a poet, critic, and memoirist who lives in Oakville, Ontario. He was born in New Brunswick and much of his writing reflects this origin. At present he works as a family physician and is a Vanier Scholar completing his PhD in English and Cultural Studies at McMaster University. Shane is editor of Frog Hollow Press based out of Victoria, BC and is self-appointed "Manifestoist Editor" at Anstruther Press of Toronto, ON. The author of several books, most recently he published On Shaving Off His Face (PQL), a book of poems about the iconography of the face in mental illness. In 2015 he also edited The Essential Travis Lane with PQL and How Thought Feels: the poetry of M. Travis Lane with Frog Hollow Press. In 2016 he will edit a selected prose volume (Palimpsest Press) and a collected long poems (Goose Lane Editions) by Travis Lane. Shane Neilson is Guest Poetry Editor for HA&L issues eight.2 and nine.1.